I have half a dozen angry rants halfway composed in my drafts folder. I am very sure all this anger is bad for me, especially for my teeth, which I grind when I feel outrage. 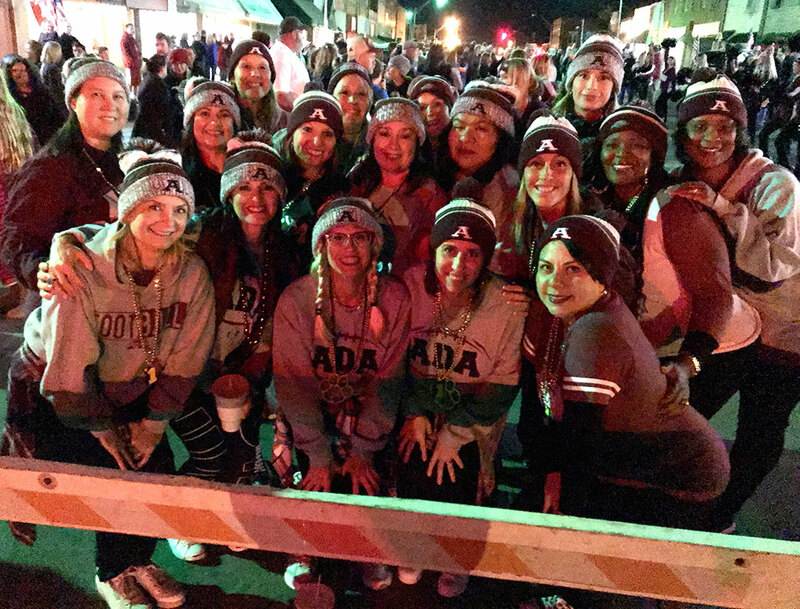 These are the Ada Cougar football moms at last week’s outdoor pep rally. I know about 3/4 of them, and they all know me. It is an honor to be a part of their lives and help record their history. So, what’s going well in this mortal coil? One of my students shot this of me last night when I was talking about lenses. 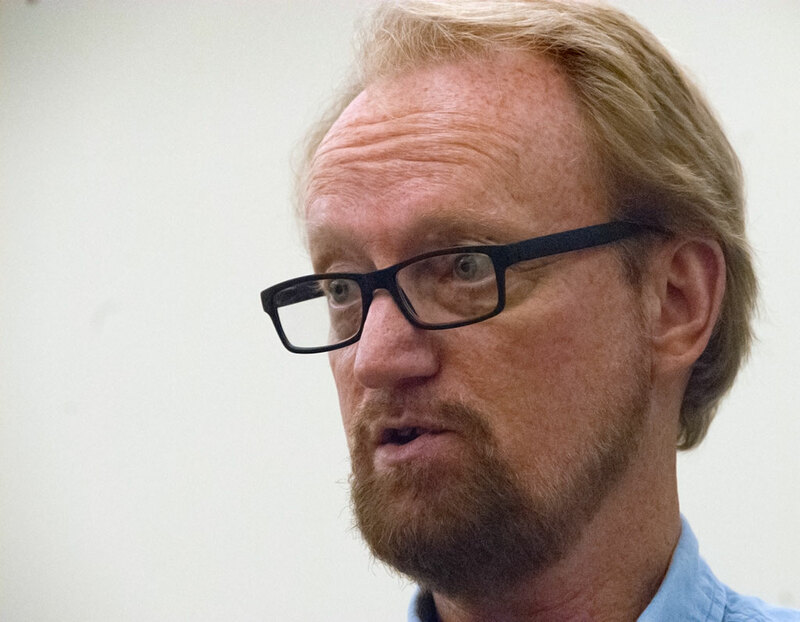 Do you think I look professorial? I walk Hawken the Irish Wolfhound every day, and twice on days when I have time. The experience is good for both of us, and adds nearly a mile to my already active lifestyle. My health is fine, and though my wife has underlying health problems, she’s doing okay too. My newspaper is using my images like never before, thanks to a vacancy on our staff leaving us a little short on content, our decision to stop using irrelevant content from around the state (which our readers don’t like), and the fact that I shooting as well as I ever have. Also at work, I am scanning and publishing old photos from the film era, which has been nothing but fun. I am teaching well lately. I just last night I wrapped up another beginner session last night. The days and nights of November are beautiful. I don’t like to dwell on troubles, since it doesn’t help. Politics, crime, injustice. I can vote, and that’s about it. I need to remember to breath, and stop grinding my teeth. 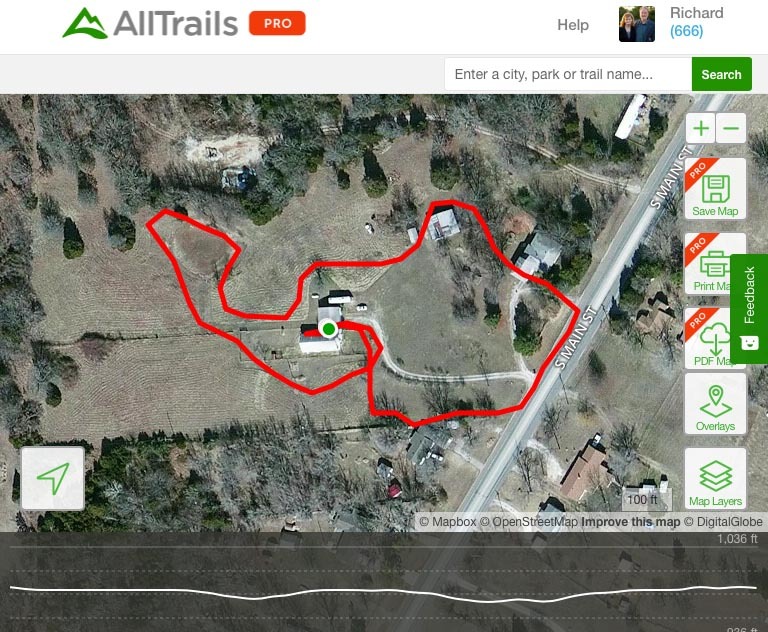 Our Wolfhound’s full name is Hawken Rifle Trail, and this is Hawken’s trail.